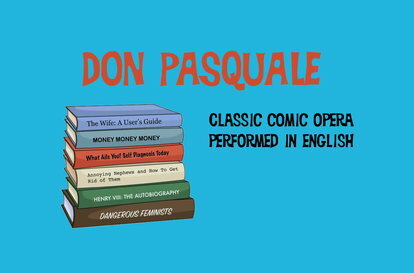 Travelling opera company Wanderlust Opera will perform in Upper Hutt for the first time with their new comic opera "Don Pasquale". A miserly bachelor gets more than he bargained for when he enters into an arranged marriage. Performed with a new English libretto catering to Kiwi audiences, with a running time of two hours, this show is a wonderful way to introduce newcomers to the genre and keep opera lovers satisfied. Read a review for this performance here.